Culinary arts students are starting the year off with safety and sanitation in the kitchen. These students are engaged in a powder identification activity where they try to identify cooking powders vs. toxic cleaning powders by only look and feel through the bag. The results surprise students and they realize how important it is to identify and label everything in the kitchen. Are You Interested In Supporting Chadron's FFA? To support the new chartering of the Chadron High School FFA chapter, please attend our FFA Alumni organizational meeting. to join an Alumni affiliate! Anyone and everyone who supports agricultural education and the FFA is welcome to become a member. This will be the first year for Chadron High School to have a chartered FFA chapter since the early 1960's. 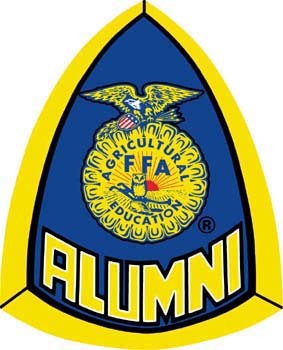 To support this program, we will be chartering an FFA Alumni affiliate. The National FFA Alumni goal is for every FFA chapter to have an active Alumni Affiliate by 2020. The annual cost of membership is just $16.00 for State and National membership. There is also an option to pay a lifetime State and National membership for $210. Local dues will be discussed at the September 11th meeting, these dues will provide support directly to the Chadron High School FFA Chapter. Please visit Nebraska's FFA website for more information. More Outstanding Test Scores for CHS! Chadron High School maintained the high level of excellence in all four subjects similar to last year to be one of the leading schools in the state for test scores. Nebraska increased the percentage of students meeting or exceeding the standards in all four subject areas as compared to last year. CHS had three perfect scores! CHS was 4% higher in 'meets standards' compared to last year! CHS decreased the 'below standards' by 5% compared to last year! 46% of CHS students were in the 'exceeds standards' category! CHS decreased the 'below standards' by 2% compared to last year! CHS was 4% higher in the 'exceeds standards' category compared to last year! CHS maintained last years test results. CHS Science scores have the lowest percentage of students 'below standards'! Students will soon be able to pick up a packet with ordering and price information at the office. CHS Matches Highest ACT Average In Years! I've had the chance to look at the ACT scores of our 2013 graduates which was recently released. I probably should not say that I was surprised ... but I was surprised when I saw our highest ACT Composite average in many years! When looking at this data, an important piece to interpret is the number (or percent) of graduates who have taken an ACT. Nebraska ranks very high with typically around 75% (last year an amazing 84%) of graduates that have taken an ACT compared to Eastern states that might have as few as 10-30%. As you can imagine, if a school (or state) has, say 50% of graduates take the ACT, chances are that they are high performing students. Whereas a state like Colorado, that is one of several states where 100% of graduates take the ACT, will typically have a lower overall average. With that said, Chadron High School consistently has 90-95% of graduating seniors that have voluntarily taken the ACT. This past year was no different. Here's a summary of our data with comparisons to trends from past years that I've managed to find. This year, ACT has updated the 'college readiness benchmark scores', making minor changes to the English and Science benchmarks. Benchmark scores are set through collaborative research with postsecondary institutions nationwide to show student readiness for college-level coursework. As you can imagine, we are very proud of the academic achievements we have been maintaining. We strive each year to improve our system approach to student learning beginning in elementary grades all the way through our high school classrooms. For all CHS families to come meet our staff and tour our school. In our efforts to streamline our communication as well as collaborate and share with each other, the apps listed below are chosen to help you in your classes/studies. You were notified that all 'email' communication between you and your teacher will be handled with your school email ONLY. Your school email consists of your Student ID (ten numbers) in the front of @chadronschools.net. If you are having issues with finding your student id you are always welcome to ask Mrs. Hinrichs, Mrs. Larson, or Mrs. Berry. If you are having issues getting in to your email please ask Mr. Paopao or Mr. Mittleider. The following apps shown in the picture below, if not already, you will need to download/install from the App Store. The apps are completely FREE and are very easy to use. If you have questions in regards to the app please make sure to ask your teachers. Because we are a GAFE (Google Apps For Education) district we rely heavily on the use of this application. With this app simple documents and spreadsheets can be created and shared amongst teachers and students. The app primarily serves as a sharing and collaboration place for the majority of your teachers, so they will be expecting you to have this app downloaded/installed onto your iPad. Made popular by your very own Mr. Bach, this app will serve you best for note taking, annotating/editing on top of .pdf's, sketching, etc. Because of its versatility along with its ease of use, this go to app will benefit you greatly. Like Note Anytime, this app also serves the purpose of taking notes, saving and sharing of notes as well as the ability to record audio and/or video as notes. This app develops your archiving and organizational skills. This simple app serves the purpose of your study buddy. Teachers will create and share audio or visual flashcards that you can use to study with. You can also create your own flashcards that you can share with others to help you study for that very important test/quiz.